This is a two day, Team big bass tournament. First Weigh‐ins will be held between 8:00 to 9:00 am, 2nd 9:01 to 10.00am, 3rd 10:01 to 11:00 am, 4th 11:01 to 12:00 pm, 5th 12:01 to 1:00 pm, 6th 1:01 to 2:00 pm, and 7th 2:01 to 3:00 pm, 8th 3:01 to 4pm. Day 2. First Weigh‐ins will be held between 8:00 to 9:00 am, 2nd 9:01 to 10:00 am, 3rd 10:01 to 11:00 am, 4th 11:01 to 12:00 pm, 5th 12:01 to 1:00 pm, 6th 1:01 to 2:00 pm. Prizes will be awarded for winning bass weighed in each session, and the heaviest bass of the event. Awards will start at approximately 3:30 pm on day 2 of the Big Bass Tournament. Up to 2 team contestants may fish from the same boat. This is an open Tournament 2 person team to fish together in the same boat. The full field will compete both days. No team may weigh more than one bass per weigh‐in session. Only one bass per weigh‐in bag is allowed. Bass entered into each session do not carry forward from session to session. Each team’s biggest bass is entered into the overall standings. Bass may be weighed in by either of the team contestant. No more than (3) bass in possession at any time during official tournament hours. This is a 5 Fish 2 Day Team Tournament. Teams will consist of 1 or 2 people. The Top 10 teams with the largest 5 fish weights from Saturday will advance to Sunday for a 10 team Shootout. There is no‐off limits other than after Saturday’s tournament time. Only Largemouth and Smallmouth Bass is the accepted species. Strongly recommend “No Puncture Culling Tags be Used” it’s highly suggested to use Accu‐Cull Elite Tags, T&H Conservation Cull System, or some other similar cull system. These are available through www.limitoutackle.com. 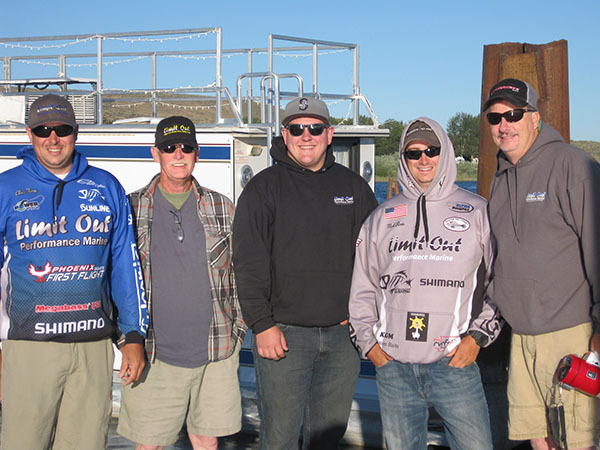 At BBTT we wish provide Northwest anglers a bass tournament team trail that is affordable – No membership fees, professionally run, provides the angler more opportunities to win cash, and allows anglers the opportunity to fish lakes at the best times to catch big fish. Want to learn more about our tournaments? Russ Baker and his team are always available to answer your questions and explain our tournament format and goals. To provide a series of professionally run bass fishing tournaments where every attempt is made to protect the resource and promote positive sportsmanship.